In view of the huge surge in demand for issue of machine readable passports and for re-issue/renewal of Indian passports, it has been decided to increase the working hours of CKGS offices in Sharq, Fahaheel & Abbasiya from 0800 hrs to 1700 hrs on all working days, i.e. from Sunday to Thursday (without any break) with effect from 8 January 2015. 2. As usual, the Centers will also function on Fridays and Saturdays from 4 PM to 8 PM providing their passports and visa services. 3. All are requested to note the above timings and cooperate with the CKGS staff for receiving their services at all the above-mentioned Centers. The Public Authority for Manpower, Kuwait has opened a shelter for expatriate female workers in Jleeb Al-Shuwaikh (Abbasiya) from 23 December 2014. The Embassy has transferred its distressed 64 Indian female domestic workers to the Kuwaiti Government shelter with effect from 6 January 2015. The Kuwait Government shelter will provide free of cost board and lodging and limited medical attention. 3. Any distressed Indian female domestic worker who is in need of accommodation in Kuwaiti Government shelter, can contact the Embassy of India in Kuwait on a working day before 12.00 hrs for her transfer to the above Shelter, after completion of formalities at the Embassy. As per the regulations of the Kuwait Government shelter, they will not accept any pregnant female domestic worker. (a) Passports services: The Embassy issued over 77,700 passports during the year 2014, representing a growth of about 5.5% over the year 2013. (b) Visas: The Embassy issued over 12,700 visas during 2014, registering an increase of 20% of visas issued during the year 2013. (c) PIO/OCI cards: There has been significant jump in issue of PIO cards during 2014. Embassy issued 80 such cards, showing 117% increase over the number of cards issued in 2013. With regard to OCI cards, it has also showed an increase of 20% over the number of OCI cards issued in 2013. (d) Death registration: The total number of deaths of Indian nationals registered with the Embassy during 2014 is 559, registering an increase of about 5% over the deaths occurred in 2013. During the period, 434 mortal remains were transported to India while 125 dead bodies were buried locally. The total death compensation (including outstanding dues from the companies) remitted by the Embassy to legal heirs in India was Rs. 6.20 Crore. The Embassy is updating on a daily basis the status of the disposal/transportation of mortal remains of Indians died in Kuwait as well as updating data information of the deceased Indian nationals in Kuwait in the Website under e-migrate (transportation of mortal remains from ECR countries) of Ministry of Overseas Indian Affairs, Govt of India. (e) Attestation: The Embassy attested a total of 96,145 documents like Power of Attorney, Driving License, Relationship certificates, affidavits etc. There is an increase of about 23% in attestation work in 2014 over the attestations done in 2013. (f) Emergency Certificates (EC): During the year 2014, the Embassy issued 2815 ECs to Indian national for their repatriation to India showing an increase of about 7% over the figures of ECs issued in 2013. 2. To assist Indian national in Kuwait, the Embassy opened a Passport Centre in Jleeb Al Shuwaikh (Abbasiya) from August 2014. Further, the visa procedure was streamlined and simplified for the benefit of Kuwaiti and other foreigners travelling to India. Also, to render assistance with regard to passport, visa and attestation services, an ‘open house’ is being held every working day, once in the morning from 1000-1100 hrs and again in the afternoon from 1430-1530 hrs. During the “Open House”, any member of the Indian community can interact with the officer on duty in the Meeting Room without prior appointment. (c) Smt. Sunila Krishnan, Attache (Labour-II), Mobile No. 97264247 for company labour disputes. (d) ShriArvindSrivastava, Assistant(Visa), Mobile No. 65127918 for visa related issues. (f) Shri Deepak Seth, Local Staff, Mobile No. 66565703 and ShriShakeel Ahmad, Local Staff, Mobile No. 99793382 for death cases. Comments, suggestions etc. 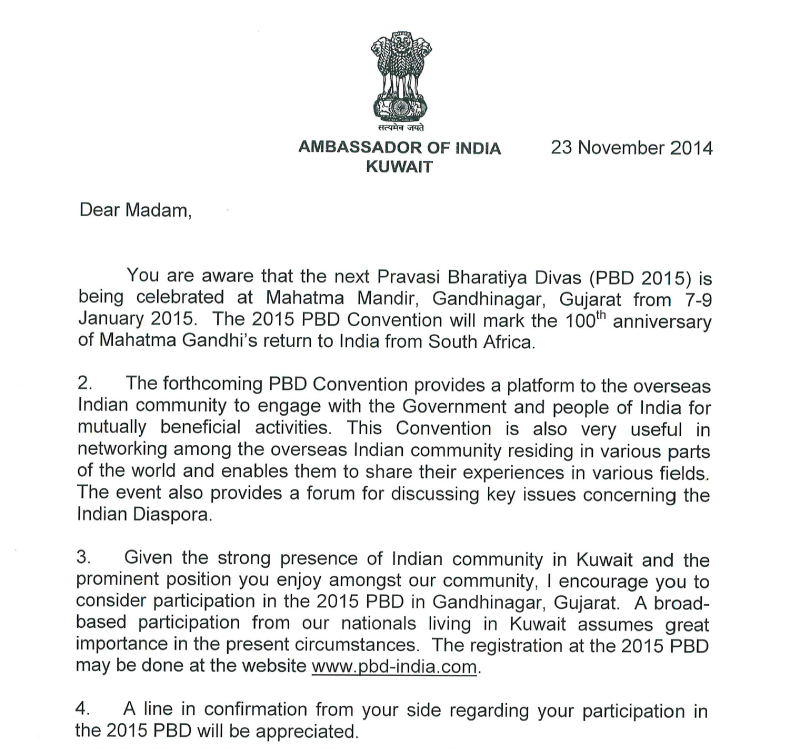 from Indian community in Kuwait are most welcome to further improve the Embassy services. 1. India implemented the KD 720 bank guarantee measure in September 2014 for the welfare of Indian female domestic workers coming to work in Kuwait. 2. After discussing this issue with Kuwaiti authorities, it has been agreed to suspend with effect from 12 December 2014 taking any bank guarantees from sponsors in Kuwait, while keeping in abeyance the attestation of employment contracts of Indian female domestic workers. 3. Indian and Kuwaiti sides are constantly engaged in finding a long-term resolution of this issue. (a) The International Civil Aviation Organisation (ICAO) has set a deadline of the 24 November 2015 for globally phasing out of all non-Machine Readable Passports (MRPs). From the 25 November 2015 onwards, foreign Governments may deny Visa or entry to any person travelling on a non-Machine Readable Passport. (b) The Government of India has been issuing Machine Readable Passports since 2001. The Passports, however, issued before 2001 and particularly those issued during mid 1990s with a validity of 20 years will fall in the category of non-MRPs. All handwritten passports with pasted photographs are also considered non-MRPs. (c) Indians living in Kuwait holding handwritten passports as explained in Para(b) above, with validity beyond the 24 November 2015 are advised to apply for re-issue of their passports well before the deadline in order to avoid any inconvenience in obtaining valid visa or international travel. Many international travellers may not realise that having a passportwith short validity remaining is sometimes not good enough to obtain Visas or to enter certain foreign countries. Indian citizens travelling on Passports which may expire in less than six months, should renew their passports before any upcoming international travel. It is especially important to check the passports needs of any minor who may be accompanying their parents as passports for minors have a shorter validity period (5 years) than passports for adults (10 years). The universal practice in vogue now is: “Once your passport crosses the nine-year mark, it is time to get a new passport”. Some countries do not accept passports which may have fewer than two pages remaining. Please check your passport to ensure that you have enough blank visa pages. There is no provision now of additional booklets/pages and you will be required to apply reissuance of passport following standard procedures. Frequent travellers may opt for a Jumbo Indian Passport containing 64 pages, as against a normal passport with 36 pages. (iv). For more details related to passport services, visit the website – http://www.indembkwt.org/Pages/Passport.aspx - or call Mr.Kalidas Roy, Attache(Cons) at Mob: 97295728 or Mr.J.S.Dangi, Second Secretary(Cons) at Mob: 97229947. Our Hon’ble Prime Minister has urged in his address to the Nation on 15 August 2014 that all schools in the country should have toilets, with separate toilets for girls. The Department of School Education & Literacy, Ministry of Human Resources Development, New Delhi has accordingly launched a campaign “Swachh Vidyalaya” with the aim of providing toilets to all schools in India within a period of one year. (iii) The indicative design of the toilet blocks, along with estimated unit cost are available at www.mhrd.gov.in/sites/swt/index.html. Contributors are encouraged to provide maintenance as well. VI. 24X7 Telephone Helpline, run by the Embassy, for information and advice to Indian workers as regards their grievances, immigration and other matters. 2. The bank guarantee policy measure has already been implemented in Saudi Arabia, UAE, Oman, Bahrain and Qatar. 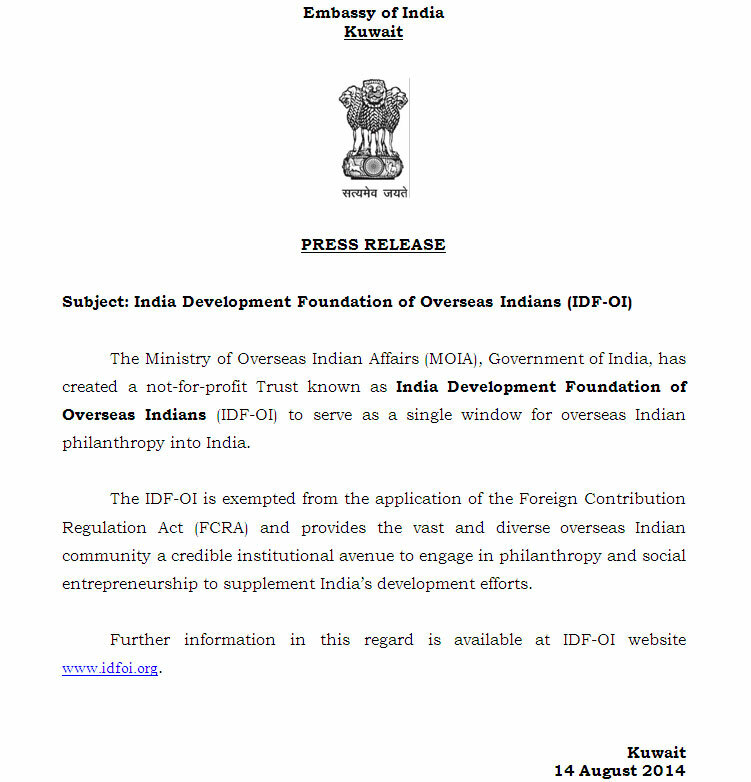 As it is now necessary to submit bank guarantee of US $ 2,500 by sponsors in Kuwait employing Indian female domestic workers, the Embassy had issued a press release on 12 September 2014. There is no denying of the fact that there have been many instances in the past of non-payment of wages, severe physical and mental abuse, and acute harassment of Indian domestic workers in Kuwait. Very often passports of Indian domestic workers are kept by their sponsors in Kuwait. 3. While the bank guarantee provision has been implemented for Indian female domestic workers in other GCC countries since 2007, its implementation has been effective in Kuwait from 13 September 2014. The bank guarantee is required only for female Indian domestic workers and that too those coming to Kuwait after the introduction of bank guarantee provision in September 2014. The bank guarantee is not needed for those Indian female workers who are already working in Kuwait. 4. The bank guarantee will be returned to the sponsor once he/she fulfils his/her contractual obligations. Only in rare cases of non-payment of dues etc., the bank guarantee will be used to settle the dues. 5. The Indian authorities have proposed in March 2014 to the authorities of Kuwait to conclude early an Agreement on labour cooperation for domestic workers recruitment. India has signed a similar agreement with Saudi Arabia in January 2014. 6. The Embassy is working with concerned authorities in Kuwait for the strengthening further of historically close and friendly ties between India and Kuwaiti. The Government of Uttar Pradesh has recently transformed the existing NRI cell into a full- fledged Department of NRI Affairs. It aims at creating an effective and meaningful relationship with the NRIs of Uttar Pradesh to provide support to families and relatives for any matter which they might face in their home state. The contact details of Department of NRI Affairs are: Shri Sanjiv Saran, Principal Secretary, Infrastructure and Industrial Development, Udyog Bhavan, 12-C, Mall Avenue, Government of Uttar Pradesh, Lucknow-226001, Office Telephone No-0091-522-2238316 & 2215510. FAX-0091-522-2239306. The Ministry of Indian Overseas Affairs is organizing the Thirteenth Pravasi Bharatiya Divas (PBD) in Gandhinagar, Gujarat from 7-9 January 2015. The registration for participation of Non-Resident Indians in the PBD may please be done at the website : www.pbd-india.com. It has been our endeavour to assist in the earliest repatriation of mortal remains of Indian nationals who die in Kuwait. As cremation facilities are not permitted in Kuwait, it becomes necessary that many bodies are airlifted to India for final rites. Last year, 533 Indian nationals died in Kuwait. During last three months (July-September 2014), there were 158 Indian deaths in Kuwait. Mortal remains of 125 Indian nationals were airlifted to India. The remaining 33 were buried in Kuwait as per the wishes of their family members. From those sent to India, 104 were transported within 1 to 5 days of reporting the death to the Embassy (3 days being the average time taken for transportation of the mortal remains). THE REPATRIATION OF MORTAL REMAINS OF 21 DECEASED PERSONS, however, took longer time, ranging from 6 to 25 days. Delays in 21 cases occurred as police investigations were required to be conducted in cases of suicides, murders and traffic accidents. In some cases, local sponsors took time to complete formalities. Non-availability of flights and intervening holidays were among the other reasons contributing to delays in repatriation of mortal remains of Indian nationals from Kuwait. Complete data of Indian nationals who have died in Kuwait since 1 July 2014 is available on the Embassy’s website. 2. The Embassy has been issuing 5-year & 1-year business visa (multiple entry), 1-year medical visa (multiple entry) and 6-month tourist visas (multiple entry) for Kuwaiti nationals and expatriates resident in Kuwait so that they can visit India for business, tourism, medical treatment etc., as per their convenience. 4. The Embassy will continue to accept visa applications directly in cases of emergency and for all diplomats/Special Passport holders. For any visa related query, please contact at Tel. No. 22550600 Extn. 279 or call Mr. J.S. Dangi, Second Secretary (Consular) at Mobile No. 97229947. Beware of touts/agents- All Indian nationals in Kuwait are advised not to be misled by touts hanging around any of the three outsourced centres in Kuwait for passport related services. It is informed that rates for their services like charges for filling up various forms is quite high as compared to the very reasonable charges for value added services made available in the outsourced centres of the Embassy. Applicants are also misled by these touts to provide documents which may not necessarily be required to be enclosed with the applications and thus fleecing them. The rates for the value added services are displayed prominently in the outsourced centres for payment by service seekers. For ready reference the rates are as follows. 2. Beware of Bogus website fleecing applicants: It has also come to the notice of the Embassy that some applicants applying for visa for India have been duped into filling visa online by some fake websites. eg: https://india-visas.com/index.php. They also accept online payment of fees from the applicants. All visa applicants are advised to be very careful about it and requested to fill in their online visa applications by logging on to www.indianvisaonline.gov.in. This is the only official site for this purpose from Government of India. All visa fees are compulsorily to be deposited in cash at the outsourced centres at Sharq and Fahaheel. In cases of emergency, visa can also be obtained at the Embassy on the same day with applicable fees. They can contact the Visa Wing of the Embassy of India in Kuwait (Tel. No. 22530600 Extn. 279) or Manager CKGS office in Sharq (Mob: 97928978) for any doubt or clarification in the matter. 3. Passport & visa services (timgings) at Sharq, Fahaheel and Abbasiya and visa services at Sharq and Fahaheel are available from 0800 hrs to 1200 hrs and again from 1600hrs to 2000 hrs Mondays to Thursdays. To help the Indian community, who are not able to visit during any of the working days due to the working time/nature of duty, it may be noted that on Fridays and Saturdays, these services are also available from 1600 hrs to 2000 hrs. iii. PIO Card holders henceforth will be exempted from the registration with Ministry of Home Affairs. 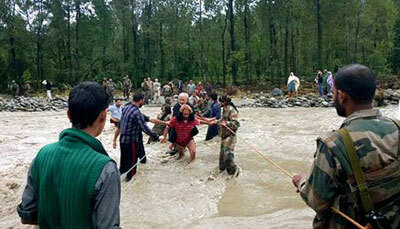 “My Fellow Citizens, You are all aware that unprecedented floods have caused havoc in the state of Jammu and Kashmir. 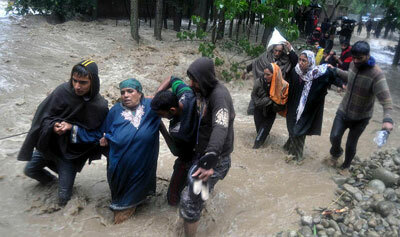 A large number of persons have died or have been temporarily displaced. Property and infrastructure worth crores of rupees have been damaged. 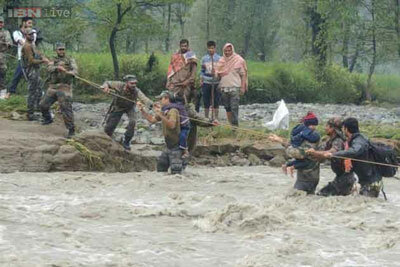 Our fellow countrymen in Jammu and Kashmir need our help at this critical hour to tide over the calamity and to rebuild their lives. (i) Payment may be made by cheque/draft/cash in the name of “Prime Minister’s National Relief Fund” and sent to the Prime Minister’s Office, South Block, New Delhi-110011. As per directions on the subject the nationalized banks will not charge any commission on preparation of drafts favouring the PMNRF. 3. 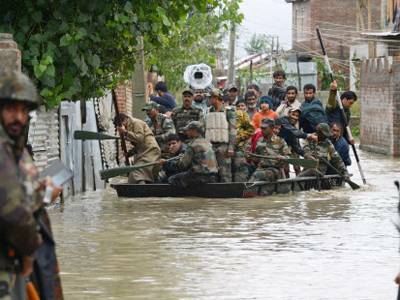 Indian nationals in Kuwait may contribute generously for the distressed flood affected people in Jammu and Kashmir. The contribution can also be sent to the Embassy by cheque / cash. All donations made will be acknowledged. (ii) Online Contributions can be made through the website of Prime Minister’s Office i.e. 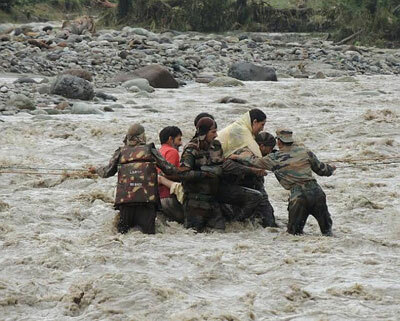 Indian nationals in Kuwait may contribute generously for the distressed flood affected people in Jammu and Kashmir. The contribution can also be sent to the Embassy by cheque / cash. All donations made will be acknowledged. The Government of India has made it mandatory for employers in Kuwait wishing to bring female domestic workers from India to submit a Bank Guarantee of US $ 2,500 equivalent to KD 720 (Kuwaiti Dinar Seven hundred twenty only) as a security deposit with the Embassy of India in Kuwait with immediate effect. Henceforth, the employers in Kuwait bringing female domestic workers have to deposit a Bank Guarantee of KD 720.000 (equivalent to US $ 2,500) in favour of Embassy of India along with the documents submitted for attestation by the Embassy. The Bank Guarantee, provided by a bank in Kuwait needs to be valid till such time the female domestic worker remains in Kuwait. The Embassy will attest agreements for employment of female domestic workers in Kuwait once the above condition of Bank Guarantee is fulfilled. This measure is being taken to safeguard the welfare of female domestic workers in Kuwait. The Embassy of India will remain closed on 7th September, 2014 Sunday, on account of ONAM. However, needed/emergency services relating to Consular, Visa and Labour wings would be available to the visiting service seekers. The Embassy is taking part in the 9th Summer Cultural Festival from 24 August to 4 September 2014 at the Kuwait National Museum (opposite Kuwait National Library on Arabian Gulf Street) being organized under the auspices of Kuwait National Museum and the National Council for Culture, Arts and Letters (NCCAL) of the State of Kuwait. The participation of the Embassy in the above festival signifies cultural cooperation between the two countries. The Embassy will exhibit photographs showcasing arts and cultural heritage of India at Kuwait National Musuem. The opening ceremony of the exhibition is on 24 August 2014 at 10.00 AM. There will be a live dance performance by Thrissur Association of Kuwait on the inaugural day as well as daily non-commercial screening of famous Bollywood films (Chennai Express, Agent Vinod, Talash, Ek Tha Tiger and Three idiots) from 25 August 2014 onwards. The timings for screening of the above films would be from 5 P.M to 8 P.M in the evening on all days mentioned above at the auditorium of the Kuwait National Musuem. The timings of the cultural exhibition are from 8.30 A.M. to 12.30 P.M. and again from 4.30 P.M. to 8.30 P.M during the above period. The entry to the Exhibition as well as Films is free.